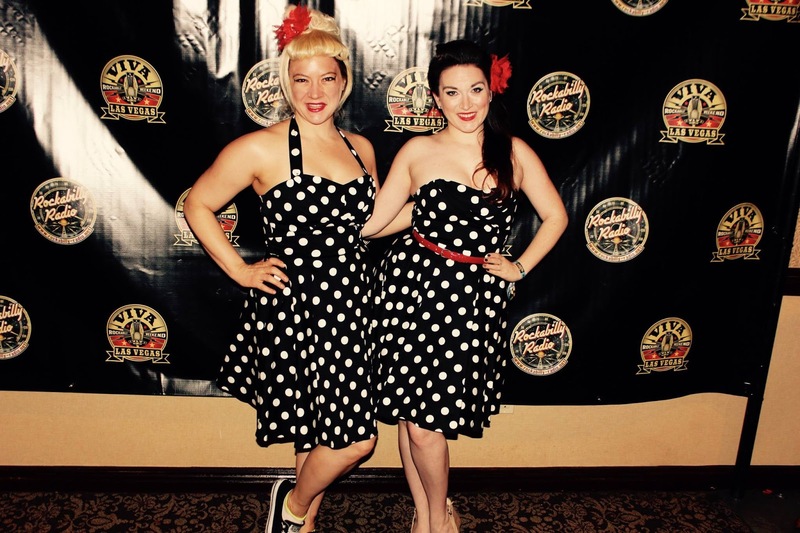 Edible Skinny was cruzin' last month when we attended Viva Las Vegas Rockabilly Weekend, the world's largest rockabilly event at the Orleans Hotel and Casino in Las Vegas over Easter weekend! For those needing the skinny, rockabilly is one of the earliest styles of rock and roll music, dating back to the early 1950s in the United States. As genre it blends the sound of Western musical styles such as country with that of rhythm and blues, leading to what is considered "classic" rock and roll. Viva Las Vegas, which celebrated its 20 anniversary this year, is the longest running music festival in Las Vegas (rockabilly or not). 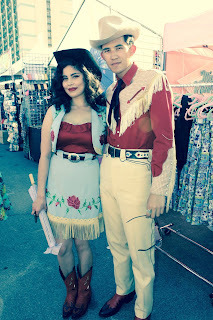 The festival was a real blast with its four day festivities included VLV fans from around the globe and featured 85+ bands a huge classic car show, Tiki Pool Parties, Rockabilly Dancing, Burlesque Bingo, and the Miss Viva Las Vegas burlesque competitions. 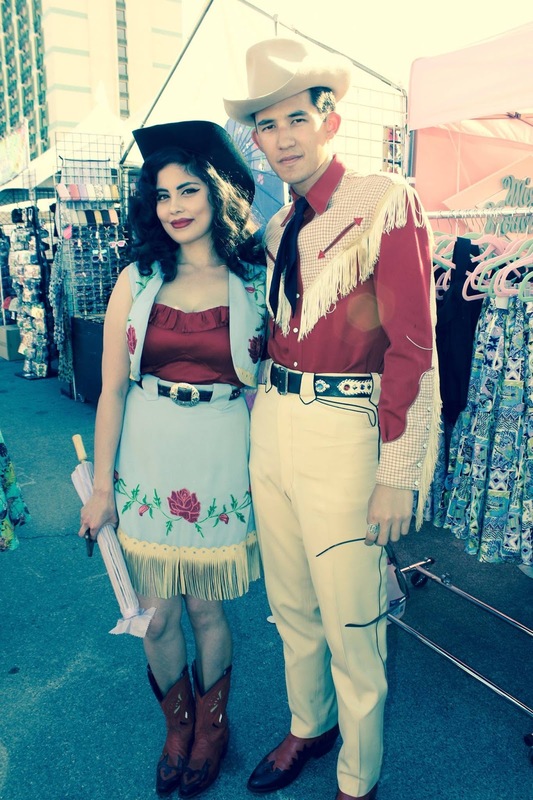 From classic pompadour greasers to pinups coiffed to perfection, VLV attracts the most eye-catching, stylish, head-turning people you will ever see in one place. Its red hot rockabilly has grown from the first year's 1,200 people in attendance, to selling out in advance 10 years in a row, with over 9,000 attending the four-day festival and 18,000 for the Saturday Car Show. 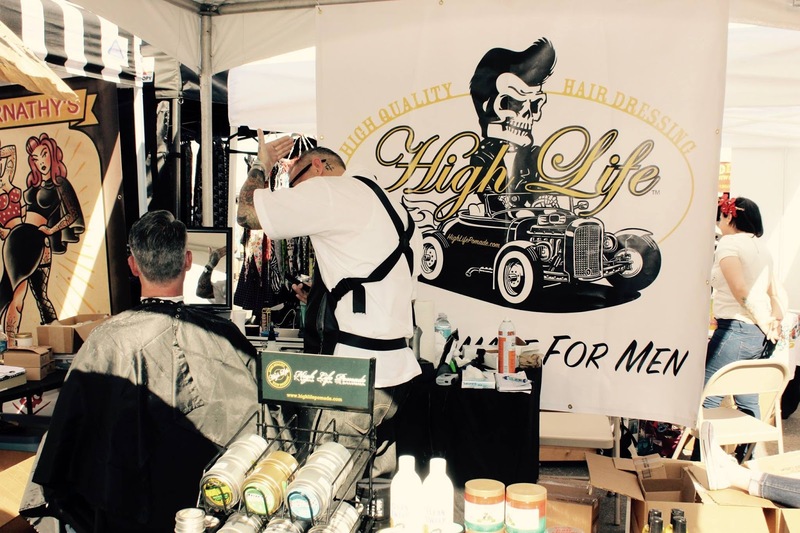 It is promoted by Tom Ingram, who has been actively involved in the Rockabilly scene for 40 years. Made in the shade! On hand was the WW2 burlesque and vintage variety show Pin-Ups on Tour, which recently celebrated its two year anniversary and has toured to 40 states nationwide (and of which this writer is a member of), along with burlesque legends such as Dita Von Teese and Tempest Storm. This year Miss Von Teese was featured in Viva Las Vegas' burlesque showcase, an event that had 4,000 people waiting in line for tickets. Fast cars are about was about as cool as it got with the Viva Las Vegas car show on Sat Apr 15th which featured 800 –1,000 vintage cars, (which must be period correct, and pre 1964). 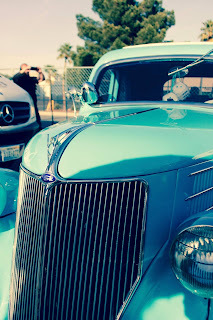 It was a sea of tatted up Sailor Jerry guys proudly displaying their classic cars with the bravado of James Dean. As they say... "Put a Tiger in Your Tank!" This year the car show was musically headlined by Brenda Lee, who has been inducted into both the Rock n Roll and Country Music Halls of Fame. Miss Lee is known for her hits "I'm Sorry" and "Rockin' Around the Christmas Tree" which has been a US holiday Standard for over 50 years. Miss Lee won a Grammy Lifetime Achievement Award, and is the only female performer to chart songs in all genres: pop, blues, rock, gospel and country. Along with Brenda Lee, featured bands included Reverend Horton Heat, James Intveld, Lee Rocker of the Stray Cats & Los Straight Jackets. Great ways to spend your bread! Along with the car show there was a variety of vending happening on Saturday. 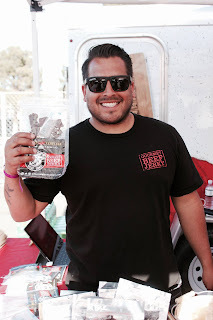 Brands of note were the ever expanding Avalon Meat Candy, a veteran owned Las Vegas based jerky company with the charming slogan of "Country First... Then Jerky!" 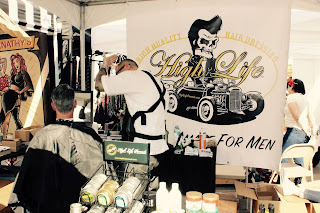 Another great company featured at the event was the High Life Pomade Company, a high-end men's grooming product line that offers a range of purposes, holds, shines, and scents for the sophisticated greaser (so that Dudes can use as much products as the Dames attending VLV...) Another shining star was the clothing line Heart of Haute, specializing in vintage Inspired fashion from the 1950's and 60's such as ladies pinup dresses, rockabilly dresses, and Mod dresses. Heart of Haute's mission is to provide adorable, high quality products without the use of sweatshop labor (as their slogan says... "Made in the USA, baby."). Here's to life being delicious and glamour and glitz being up front and center! 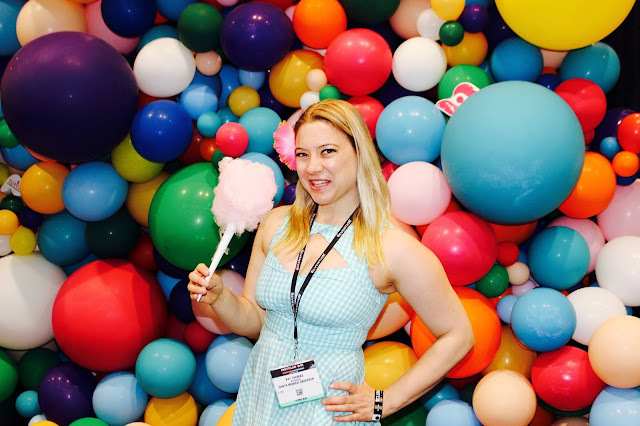 Monetizing Cannabis, Once a Taboo Topic, Was the most talked about convention theme. Edible Skinny has taken note that as cannabis steps into the world of legal respectability with recreational sales commencing in Las Vegas as of July 1st (as long as everything goes according to plan...) more "reputable" vice industries are starting to take note. Especially considering the state of Colorado made a Billion dollars on this "illicit" industry last year alone! Such was the case at last month's Nightclub & Bar Convention and Trade Show, which was attended by over 30,000 international nightspot owners, operators, and industry professionals. 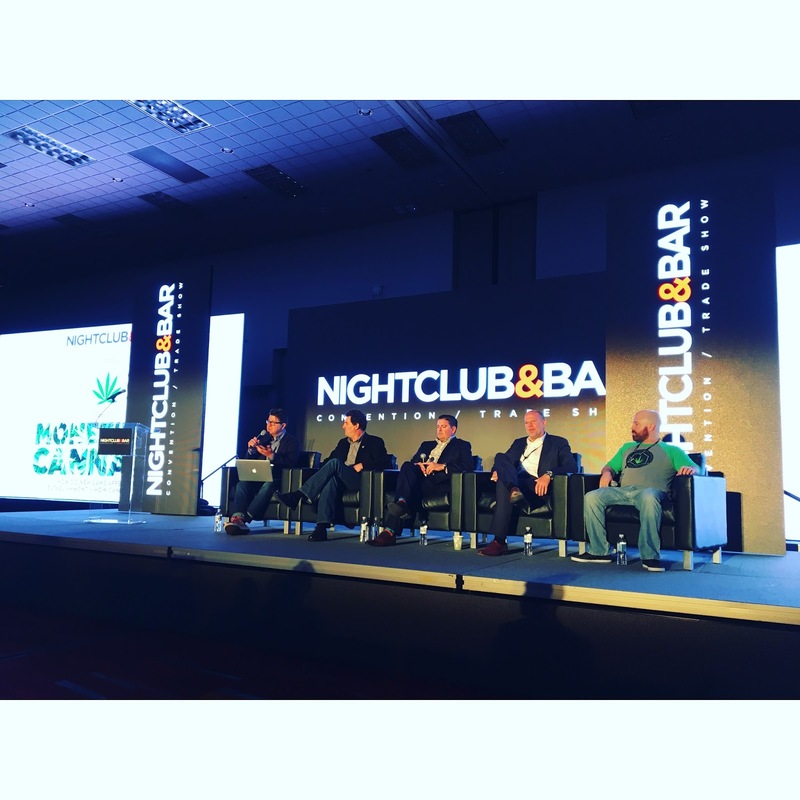 Held March 27-29 at the Las Vegas Convention, the 32nd annual convention set an unprecedented tone embracing this once taboo industry as one of the most talked about keynote panel discussions was "Monetizing Cannabis." The recent legalization of marijuana use in Nevada and other states reflects the growing development of more states following suit and even changes at the federal level. Audience members at "Monetizing Cannabis" gained insight on the emerging marijuana trends, as the commercial potential is huge but the legal, regulatory, and operational landscape is complex. Questions such as how to recognize money-making opportunities, cannabis mixology, new concept ventures and current regulatory and operational landscape were volleyed around by the green wisdom of multiple successful ganja-preneurers. Moderated by Ricardo Baca, contributing editor of the Denver Post. Baca was appointed The Denver Post's first marijuana editor in November 2013 and spearheaded the formation of The Cannabist, a division of the Post. Fortune magazine ranked Baca as one of the most powerful people in American cannabis. His panel included Sheriff Joe DiSalvo, infamous in Colorado for going from "Ski Bum to Sheriff." DiSalvo joined the Aspen Police in 1985, three years later the Pitkin County Sheriff's office, of which he is now a 29 year veteran of the force he overseas. In 2013 Sheriff DiSalvo founded the Valley Marijuana Council, which consisted of community stakeholders from law enforcement, health care professionals, schools, dispensary owners, hotel operators, and others. Another person of interest onstage was Tripp Keber, CEO of Dixie Brands, Colorado's premiere license marijuana infused products manufacturer (MIPS). Tripp Keber now serves as the Chief Executive Office of Dixie Brands Inc. He is also a founder member and current Board Member of the National Cannabis Industry Association. Rounding out the panel was Freddie Wyatt, an event marketing, promotions, and business development expert with more than 30 years' experience in event management, event production, branding, marketing, entertainment, and nightlife. Founder of Munch & Co., Wyatt has been instrumental in directing the cannabis business development thru event programming nationally and now moving it into hospitality sector. The session explored from the unique bar and nightclub perspective, how to capitalize on the opportunities while mitigating the risks. Almost all the panel agreed that cannabis and alcohol were not the best of drinking buddies, at least not directly at the same location. It was recommended that "crossfading," the act of combing alcohol and cannabis, is a market concept not best pursued by Las Vegas bar and nightclub owners. Denver, Colorado, where weed has been recreationally legal for years now, passed a first-of-its-kind limited social use initiate last year. Initiative 300 is in the process of creating a pilot program that will let Denver bar and restaurant owners and other business owners to apply for permits allowing for "bring-your-own" social marijuana use at their establishments. The permit would require neighborhood approval, by a city-registered group or a business district. Almost all the panel agreed that cannabis and alcohol were not the best of drinking buddies, at least not directly at the same location. 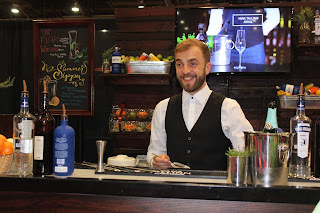 It was recommended that "crossfading," the act of combing alcohol and cannabis, is a market concept not best pursued by Las Vegas bar and nightclub owners. Separate but equal was highlighted numerous times by these pioneers of the Green Rush. This is true for both the guests attending cannabis events, but also those not present at these Maryjane related parties. Wyatt noted that a large portion of the security hired at Munch & Co. events end up protecting their cannabis patrons from the bar crowd when the local bars close at 2am. "The different between these two patrons is night and day; the more time you spend at a bar, the better the chances you might get into a fight... the more time you spend at a cannabis event, the better the chances you might end up in a cuddle puddle." But with more and more states approving recreational use with every ballot measure, the chances of alcohol and weed crossing paths is becoming more commonplace. 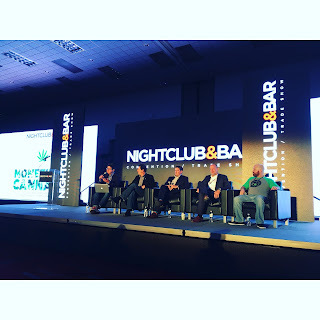 It's a brave new world for both the nightclub and cannabis industry, and somehow they'll find a way to be green bedfellows! Here's to life being delicious and the green wisdom of ganja-preneurers.